Male Thread Die Cast Indexed Clamping Levers feature a black gloss painted die cast alloy handle with a male threaded stud in steel. 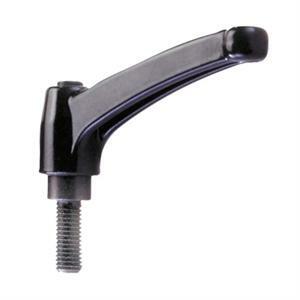 The strong clamping levers are supplied in 4 handle lengths with a large range of thread size and length combinations. 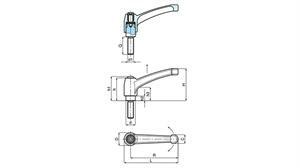 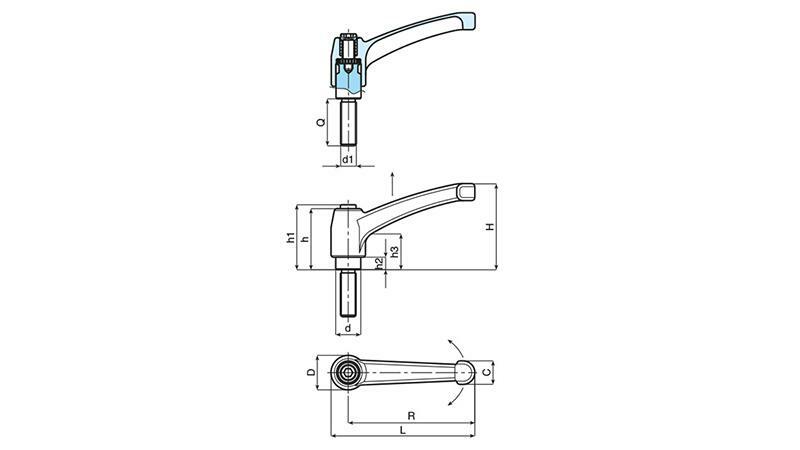 To operate press the metal button to release the handle, move, then tighten the handle to the required position.